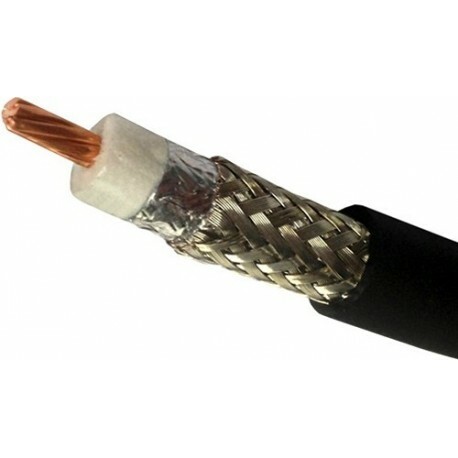 Coax, 1 coax, 10 AWG, stranded (7x19) BC - Bare Copper conductors, Foam PE - Foam Polyethylene insulation, Bonded Aluminum Foil-Polyester Tape-Aluminum Foil (Bonded Duofoil) shield with 100% shield coverage plus tinned copper Braid shield with 90% shield coverage, Belflex PVC - Polyvinyl Chloride jacket, 8/U RG Type. Use: Suitable for indoor, outdoor, and aerial applications. Coaxial. Brilliance. 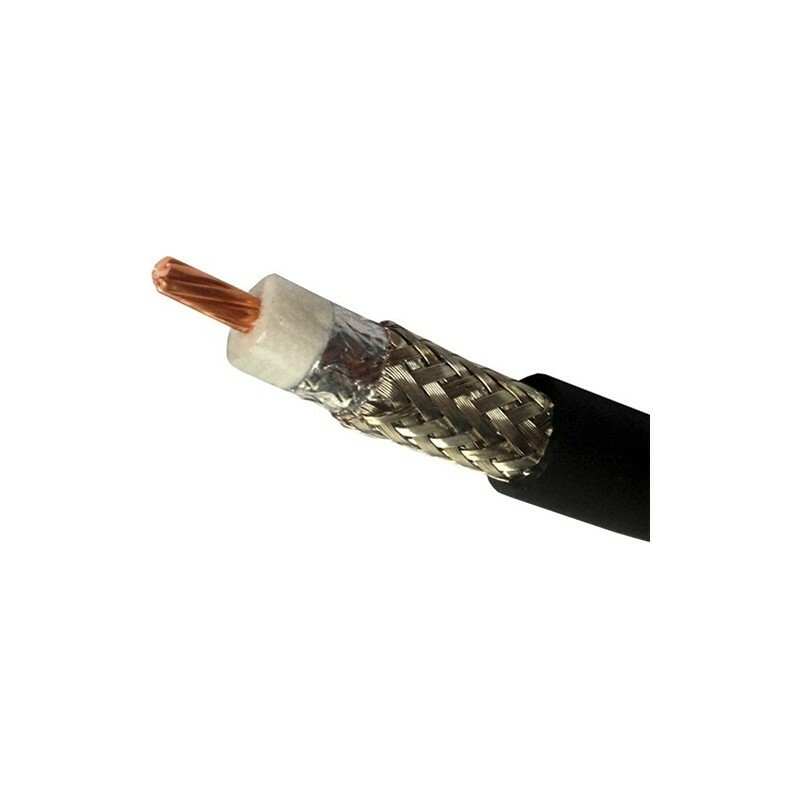 Flexible Low-Loss RG-8/U Type 50 Ohm Transmission Cable. Duobond II. DUOBOND is a Belden registered trademark. DUOFOIL is a Belden registered trademark. BELFLEX is a Belden registered trademark.